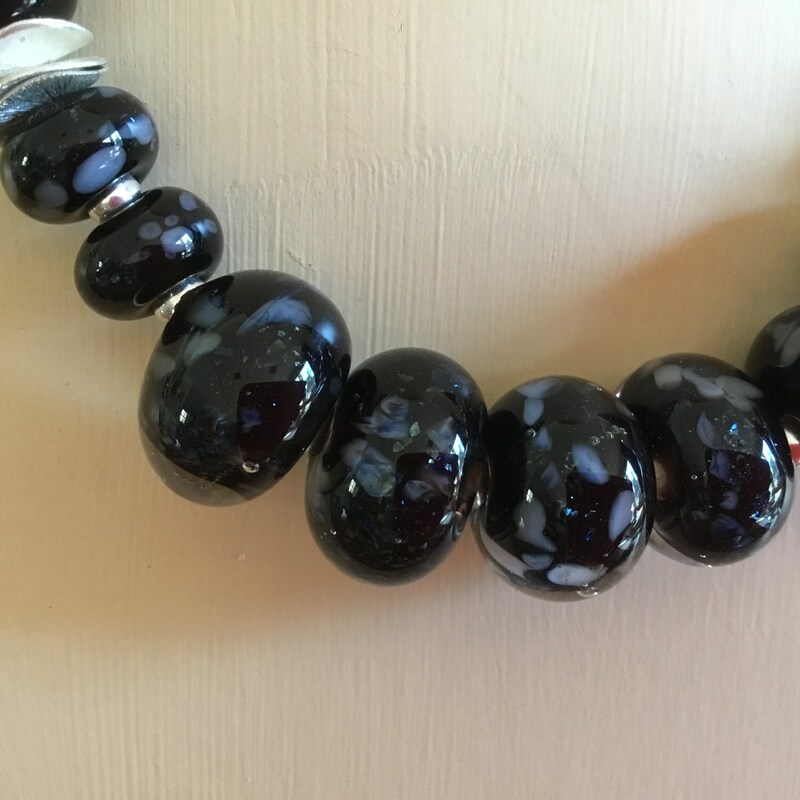 These flame work beads sparkle. 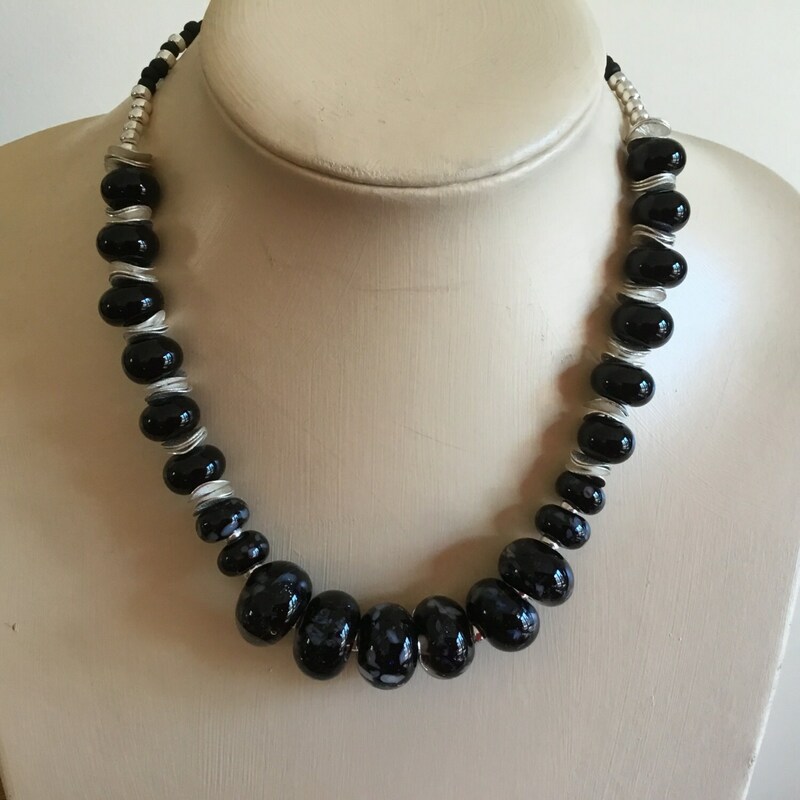 This statement necklace is 20inches in length. 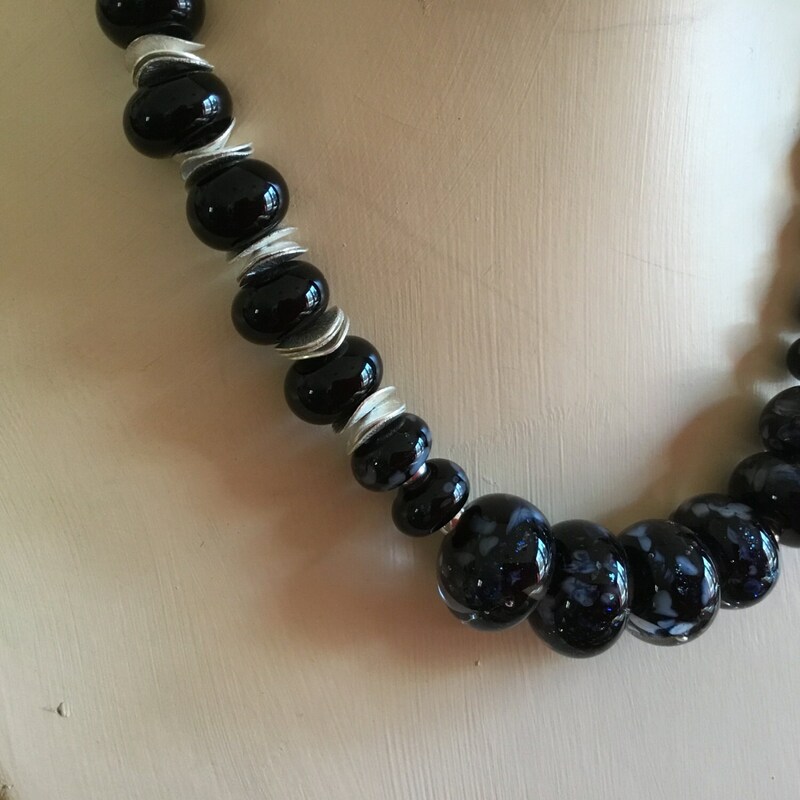 Artisan made flame work beads are combined with sterling silver beads and silver cornflakes. A great look for an evening out.